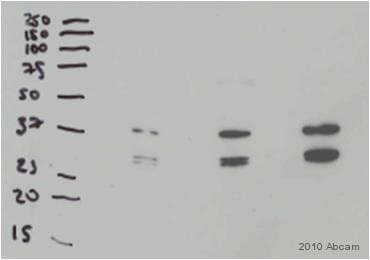 Synthetic peptide corresponding to DDDDK tag . 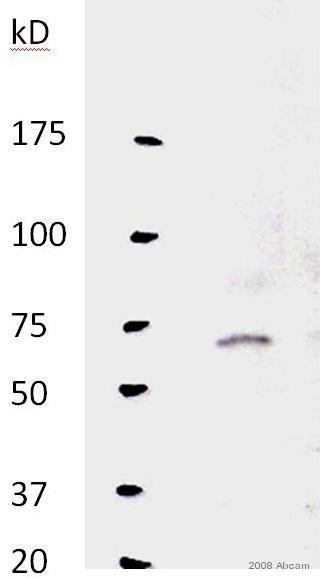 This product was changed from ascites to tissue culture supernatant on 3rd December 2018. Please note that the dilutions may need to be adjusted accordingly. If you have any questions, please do not hesitate to contact our scientific support team. Lyophilised:Reconstitute to 1.0 ml with distilled deionized water vortex gently and allow vial to sit on ice for 20 minutes. Our Abpromise guarantee covers the use of ab49763 in the following tested applications. All lanes : Saccharomyces cerevisiae Cell lysate - whole cell (S. cerevisiae cell lysate). 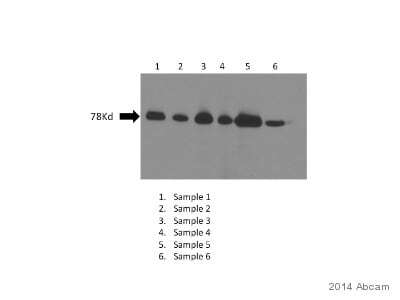 Sample 1, 2, 3, 4, 5, 6 are the lysates from the strains expressing the tagged protein. 5% milk blocking was used for 1 hour. 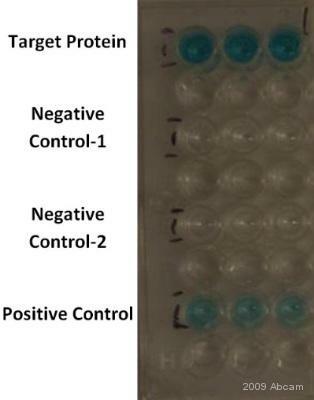 ELISA for the detection of Flag-tag purified protein from Escherichia coli, using ab28947 (1/5000). Please refer to abreview for further experimental details. Please note that in order to show a clearer image, we have brightened the original image. 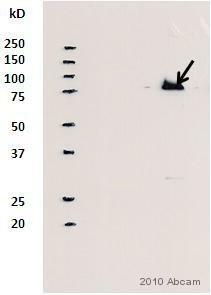 Saccharomyces cerevisiae purified Flag-tag protein was detected by using ab49763 (1/1000). Please refer to abreview for further experimental details. Publishing research using ab49763? Please let us know so that we can cite the reference in this datasheet.